God has so richly blessed our lives that we choose to respond to his love in the way we use our time, actions toward others, talents, and skills that are uniquely ours and the return of money toward God's work. There is always a way to give! May God bless the giver and the gift. God gives all his people spiritual gifts for their mutual benefit and for the progress of his kingdom. In 2009 the church underwent a major remodel in the Sanctuary, Narthex, & Restrooms. See the work here. Our congregation is on a mission! We are paying down the 2009 mortgage very quickly! Down from $300,000 to $150,000 in January 2014 to $84,106.68 currently. WOW! Open the Pay Down thermometer as a bigger picture here. Do you spend time on the internet? Did you know that you can give St. Paul 1 cent for every search you make on the internet? It is very easy to sign up. 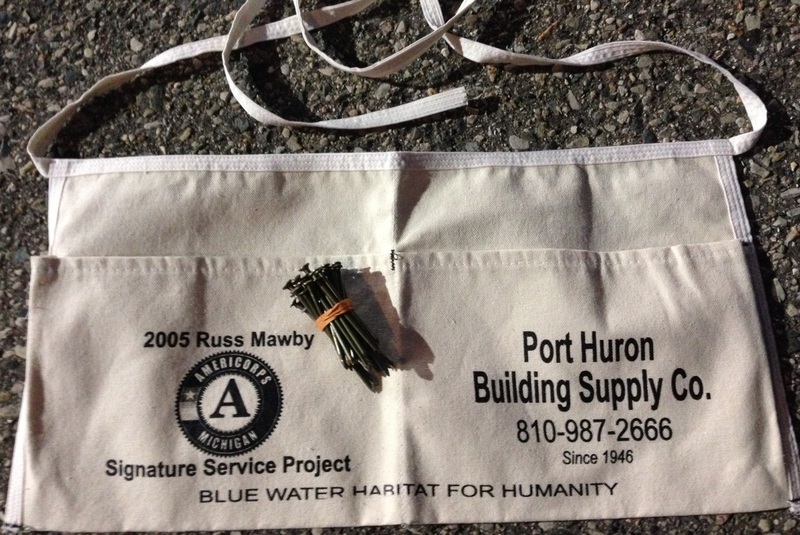 Just enter your name and email address and the organization you'd like to earn money for, "Saint Paul Lutheran Church of Port Huron" will get you started on supporting the church. You can even set it to your default search engine, to replace Yahoo, Google, etc. (it is powered by Yahoo so the search results will be great!). Do you shop on the internet? Good Search also has Good Shop right at the top of the page and when you click through one of their stores (Amazon is one! ), St. Paul's gets a % of the purchase. This site keeps a running tally for you of how much you've made for the church. If you need help getting signed up as a supporter for St. Paul, contact me here. Below is a video explanation of how Good Search works. Here are a few ways you can help support St. Paul and our charity work. Enrollment in this program requires re-enrollment every year in April. We appreciate your efforts and contributions. When you enroll or re-enroll in April, your earnings (for St. Paul Lutheran Church) will start May 1, 2018. Any member who enrolled before April 1, 2019 must re-enroll to continue earning. Put in your email address and password that you used to enroll your card. Put in St. Paul's group number: 90228 or enter St. Paul and choose the correct organization from the list. You are now enrolled for the year "May 1, 2018 to April 30, 2019". If you are having an issue with your password and/or email address, please call 1-800-KROGERS, press 5 for customer service, then press 5 to speak to a representative. *If you are not yet enrolled, you will need to set up an account at the above website link. The Annual Progressive Dinner drew a crowd for fellowship and food. The September 2014 ReStore Truck received tremendous contributions thanks to our generous congregation and community. The building supplies will go to good use! The June Nail Sale was a tremendous success. Thank you for your generous contributions! Donations accepted were in the form of physical labor (building the house), providing meals for volunteers, and money. 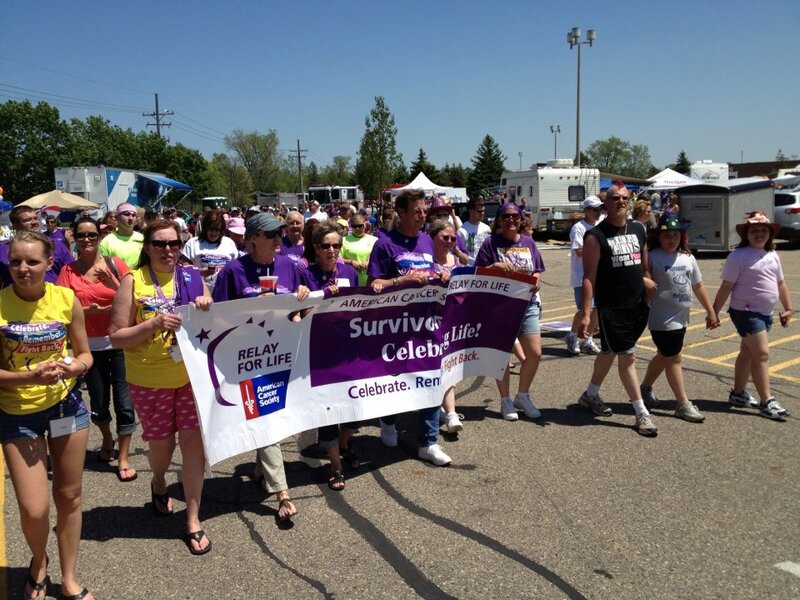 Relay for Life in Port Huron. Click here to support the fight against cancer. Please note in your payment comments that this is a "Relay for Life" gift. If you would like to write a check, please make payable to St. Paul Lutheran Church, indicating your charity in the memo line.